Its wonderful to get such a glowing recommendation for my work; and to know that equine assisted coaching had such a great impact – I just have to share it, its made my day. “Getting coached by Jane and her horse Ulo is something special. In the beginning, I wasn’t sure how my business-related questions could be answered by equine-assisted coaching. I had already made the experience that horses react to body language and non-verbal signals but my questions were not about communication and leadership. Nevertheless, I gave it try and received much more useful insights in the end than expected. Jane has a comforting and unagitated way of working. In the beginning, she takes the time to explore and concretize your case. She helps to clarify and focus on a specific question for each session. During the work with the horse, she shares her observations to reflect on them and provides insightful feedback. At this point already, the transfer of the experiences with the horse into the business context and regarding your question takes place. At the end of the session, there is time to reflect upon and evaluate all observations and insights. And Ulo, Jane’s horse, is wonderful to work with. Really pretty and not too large to get scared, she knows how to behave and provides clear feedback to the coachee’s actions. 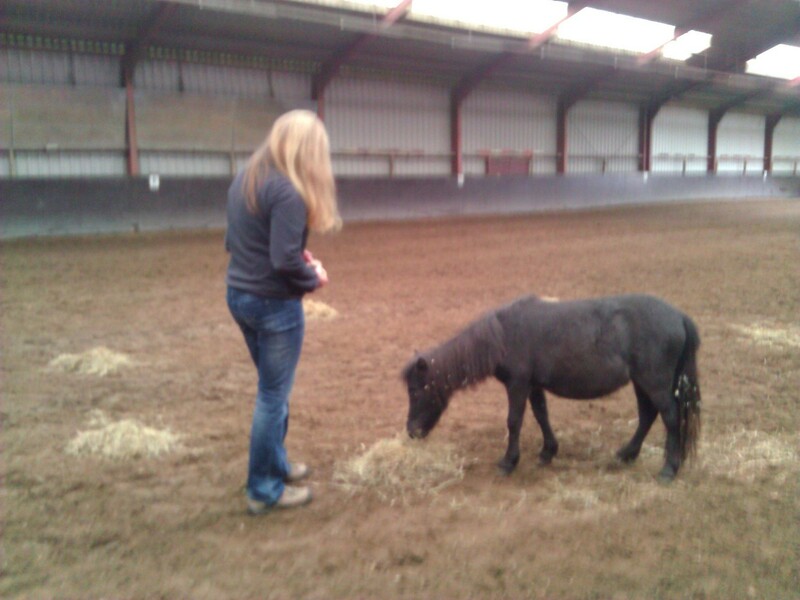 This photo is from a session where we could not use Ulo, but big or small, horses have an impact.